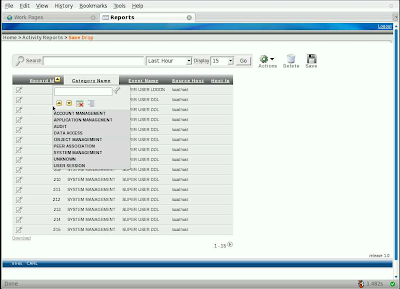 Just read that Carl Backstrom has made his video public, which is showing on of the “WOW” features of the upcoming Oracle APEX 4.0 release. The video was first shown at the “First Oracle APEX Training Days” by APEX Evangelists. Side note: Dimitri Gielis and John Scott blogged about there experience doing this training. Check out there blogs. Good job guys! I would suggest to get the higher definition version, so that you can see the real beauty of the new feature. BTW, you have to get the VCL player as Carl has written, because the video is coded with the Theora coded which Windows Media Player and QuickTime can’t decode. 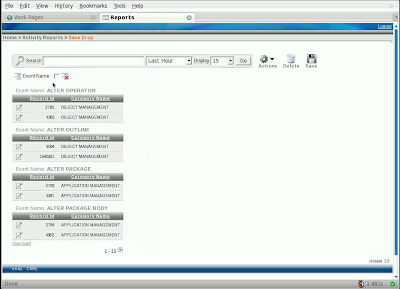 So users will have a lot of “on the fly” options to modify the report you have created for an Oracle APEX application. Securest Oracle APEX ever - Version 3.2 Released! 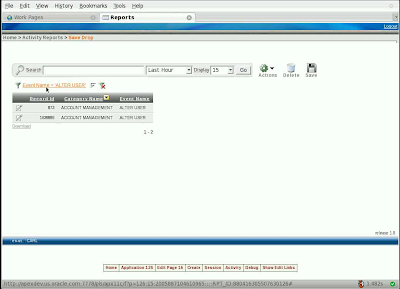 Test Drive the new Forms Converter aka Oracle APEX 3.2! What's next on the Oracle APEX roadmap? Oracle APEX 3.2! Is there life on planet Oracle APEX 3.2? This entry was posted in News and tagged preview 4.0 by Patrick Wolf. Bookmark the permalink. Yeah I’m just having some trouble reencoding that video it. Everytime I do I lose a ton of detail. I’ll keep trying though since when I do more they have to look better in google/youtube video and for download. My second vidcast will have much better quality (at least for the picture) than this one did. I was told that 3.1 will probably be out end October/November and 4.0 in Q1/08. WOW! After I submitted that last comment, the page reloaded and has rendered properly so I can see everything now 🙂 Love technology! looks like it was a temporary issue. Thanks for letting me know.